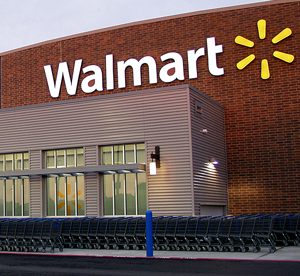 As the nation’s largest grocery retailer, it’s about time Walmart entered the health food scene. Recently, with support from Michelle Obama and her initiative Partnership for a Healthier America, Walmart announced it would begin cutting back on sodium, trans fats, and sugars in their store-brand food products to better reflect updated dietary guidelines. Although this program will take about five years to come to fruition, advocates of the plan hope to see real change in the way Americans choose to eat. The thinking goes, if fruits and vegetables are priced more affordably in super-stores like Walmart, Americans can significantly improve their eating habits with minimal conscious effort on their part. They will be nudged in a healthier direction by the more nutritious options which surround them. 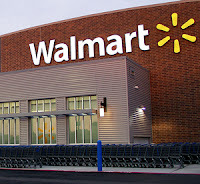 Though some critics argue this wellness plan should happen more quickly and efficiently, Walmart execs claim that consumers need time to adjust to the changes, arguing that a shift in the American mindset won’t happen overnight. Additionally, the five-year timeframe gives Walmart some wiggle room to manage technical difficulties and logistical hiccups along the way to result in an exceptional nutrition overhaul down the road. Although many smaller companies have pledged to reduce sodium content or decrease sugar in their products in the near future, Walmart’s ubiquity makes it as powerful as the F.D.A. when it comes to impacting what the consumer consumes. Although Walmart is influencing positive change on a grand scale, these same shifts can occur anywhere. Company cafeterias can push employees toward more health-conscious foods if the least nutritious options are removed. Eliminating office vending machines and offering bottled water in place of sodas or sugary drinks can set office workers up to make better choices throughout the day. It’s impressive that Walmart is making changes on such a large scale, but it’s important to remember that even small companies can influence the eating habits of their employees.